Paws, Paws, Paws – WOOGA! A dog’s paws are one of the most crucial parts of its body. From a dog’s paws, you can tell what kind of terrain the dog walks on frequently. From a dog’s paws, you can tell if the dog has excessive amount of fungi and bacteria. From a dog’s paws, you can tell whether the dog has a good genetic pigmentation. 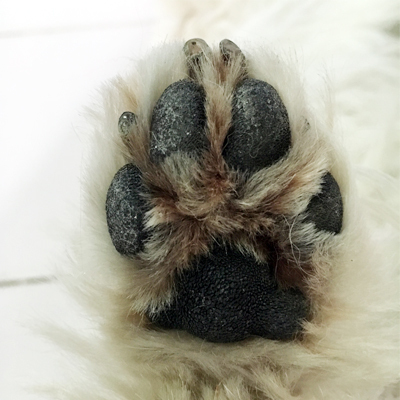 The paw pads are made up of mainly fatty tissues to protect the dog form extreme temperature. The fatty tissues protects the inner tissues so that heat doesn’t travel too quickly to the dog’s body. The paw pads are made to provide protection and cushion to the dog on all kinds of terrains. Dogs that are being exposed to many different surfaces a lot have thicker and rougher paw skin. It helps to give protect them against the rough terrains and provides them with adequate friction. Dogs that are indoor most of the time and walk on smoother surfaces will have softer paw pads. It is almost similar to the sole of a human foot. If you are out barefooted, you will have a thicker and tougher sole that can protect you well. Dogs that walk a lot on concrete surfaces can expose their paw pads to wear and tear faster than dogs walking on a natural terrain such as dirt and grass. Again, its like a human walking barefooted on a beach vs walking on the grass. It is normal for a dog’s feet to smell like corn chips because of the fungi and bacteria on their feet. However, too much of smelling like corn chips can be because of a bacteria or fungi infection. While cleaning the pads when it comes into contact with things that stick to the pads or hurt the pads is necessary, cleaning the pads everyday after walk is personal preference. Some owners choose to rinse their dogs’ pads with water everyday, some choose to wipe it, some don’t clean it. Which every way you choose, always be sure to dry it properly or use something that is antiseptic/anti-fungal/antibacterial to prevent a bacteria or fungi overgrowth. The colour of the paw pads are entirely dependant on the genes just like the nose, the eye rims , the lips and the nails. While it is not uncommon to see dogs with one or two pink pads, an entirely pigmented paw pad is always desired. Having a pink paw pad will however not cause any discomfort or disadvantage to the dog while walking or trekking. Just like any other parts where pigmentation occurs, black is often the desired colour, but thats all. Paw pad care is important, but over-caring is never good. A dog’s paw can crack due to dryness or heat, but very often, it will heal on its own. A good quality paw balm can help to protect the paw pads by providing a layer of protection BEFORE walking on rough terrains. 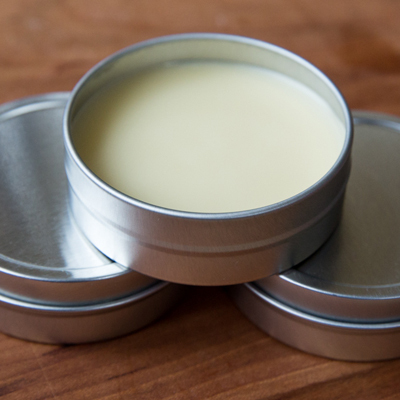 Paw balms can also be used to speed up the recovery of a cracked paw. A good and adequate paw balm should be able to coat the paw pads with a layer to protect the pads before going out to rough terrains. Prevention is always better than cure. 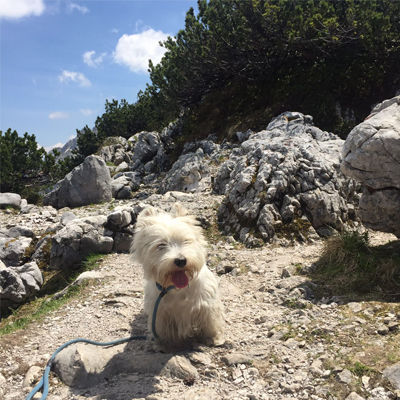 If you know that you will be bringing your dog our to walk on concrete or rocky areas for an extended period of time, wear a good quality dog shoe or apply a layer of paw protection. As the dog gets older, the pads will not recover as quickly as it used to, wear and tear will leave the paw pads smooth and soft. Many old dogs will need shoes to help them grip onto surfaces to prevent slipping. Smoothening the paw pads on purpose should always be avoided and applying a paw balm to ‘smoothen, moisturise, soften’ the paw pads is most definitely unnecessary, useless and redundant. Rough and sturdy paw pads will provide a solid protection to your dog. Imagine telling a human who has very soft, smooth and delicate foot soles to climb the rocks barefooted, the human’s foot is going to suffer so badly. Dog’s paw pads are created to allow them to walk barefooted on natural terrains. Walking on concrete is not natural for them, pay sufficient attention to the wear and tear on the paw pads, but always allow them to grow and develop naturally.